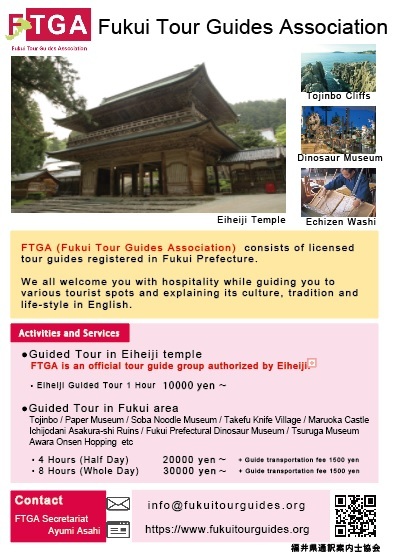 FTGA (Fukui Tour Guides Association) consists of licensed tour guides registered in Fukui Prefecture. We all welcome you with hospitality while guiding you to various tourist spots and explaining its culture, tradition and the life-style in the language of your choice. We are all looking forward to meeting you in Fukui !